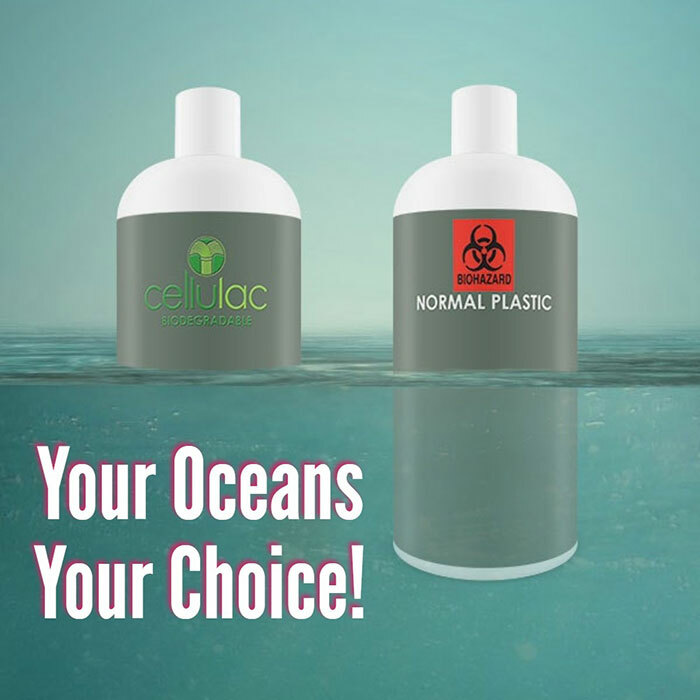 Cellulac delivers biodegradable plastic - bio plastic and production of omega 3 oils at commercial scale production, derived from micro algae and other sugar sources. …Help provide awareness to biodegradable and natural products. …Be part of the solution to avoid destroying the planet. …Don’t just make a change, make a difference. …reducing some of the 300m tonnes of toxic plastic produced every year. …the delivery of biodegradable plastic ingredients at close to petrochemical prices. …lowering CO2 emissions from the food, cosmetic and bio-based industries. …producing the lowest cost Omega-3 oil on the planet to counter over-fishing of our oceans. Cellulac has developed and acquired, scientifically proven and commercially scaled technologies. These produce biodegradable products for the cosmetic, food, pharma and electronics industries. Market demand, for finished products in these industries, is $11bn p.a. This is forecast to grow at 19% p.a. until 2020. Commercial scale production of Omega 3, with EU and US clearance for human consumption. Produced since 2016 and guaranteed to lower your production costs by 24%. When installed in your ethanol, dairy or brewing facilities they mitigate the high cost of capital, reduce your operational costs and improves net margins by adding complementary products. These unique low-pressure, low-temperature, wet extraction solutions use less energy, drastically cutting your costs, CO2 emissions and solvents for oil and biodegradable plastic ingredients. In 2009 Patrick Walsh was a Professor at the National University of Galway, Ireland. His vision was to reduce the amount of energy in the production of biodegradable plastic. This biodegradable plastic ingredient is lactic acid. Used as a food preservative, curing agent, and flavoring agent. It is also an ingredient in processed foods, used during meat processing. When broken down, the bio-degradable plastic ingredient converts back to CO2 and water. Bacteria are easy to explain if you recall the 1984 and 1990 movie “Gremlins”. If you spilled water on them, they multiplied. Just like Gremlins, Lactic Acid and Micro-algae multiply in water. 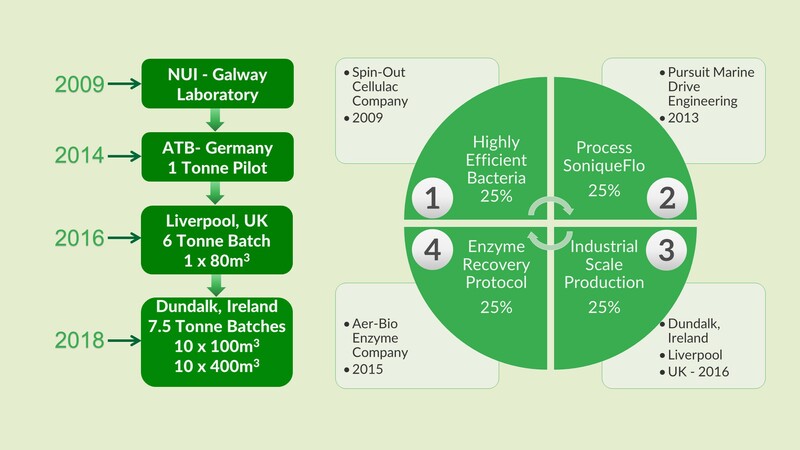 By 2012 this small company, now named Cellulac, was €300,000 in debt, but had secured €2.8m of EU grants for a pilot plant, with the conditions for release of the grant be, that industry and investors had to contribute a further €9m. New management were brought in. Even with the vision and the size of EU grant, finding €9 million for a pilot plant, that was never going to break-even, let alone be profitable, was equally never going to be built. The team, which came from a previous successful company, Alltracel Pharmaceuticals, altered the direction and mission to address the glaring lack of infrastructure needed to commercialize the technology. 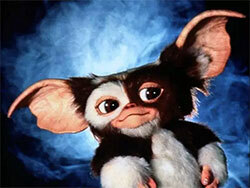 The first 25% of a low-cost production solution was achieved with Bacteria (read Gremlins). The conclusion of the acquisition of Pursuit Marine Drive meant that an end to end solution was now 50% completed. There is a need to punch the living daylights out of the Gremlin-like bacteria and micro-algae. This begins the release of oils and bio-plastic polymer ingredients into a soup-like mixture. Some of you will know the history of Pursuit Marine Drive. This was a former subsidiary of Pursuit Dynamix PLC (PDX). If so, you are probably wondering, why on earth did you buy a failed company that had blown through £68 million GBP. Right? Well, the portion of £68m, spent in R&D, provided Cellulac with a unique game changing platform. This was the engineering equivalent of the Pfizer side-effect for their heart treatment, turned erectile dysfunctional drug, Viagra. SoniqueFlo was originally designed as an industrial scale heat-exchanger that softened up grains before food, ethanol and beer production. Now, that same technology works 10 times more efficient. It smashes up softer cells on the recovery end of bio-oil and bio-plastic ingredient production. It is like having millions of mini-Conor McGregors compressed into each SoniqueFlo reactor punching the oils and bio-plastic ingredient out of the Gremlin-like Bacteria and Micro-algae. The beauty of this industrial scale solution is that the technology was already field tested. It has been fully operational in 25 production facilities across the food, bio-fuel and alcohol industries since 2010. This is where we get the benefit of having £68m spent before we acquired the technology. We reached the 75% milestone of full scale production when we secured access to the 2nd largest brewery in Ireland. This is 40 times the output and size of the Omega 3 at commercial scale plant in the UK since 2016. 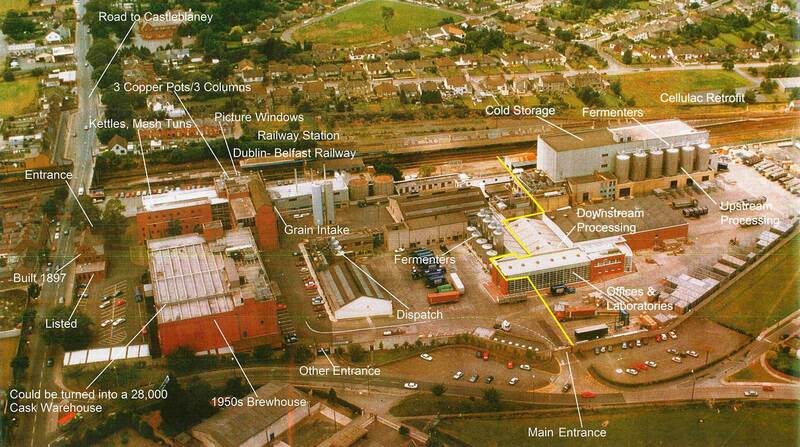 It is the former Diageo, Harp Lager production plant in Dundalk, Ireland. A state-of-the-art facility, fully automated, food and beverage grade facility. The 100% scaled production milestone was reached in 2015, with the acquisition of Aer-Bio. This small Enzyme company specialized in the recovery of oils from micro-algae. More specifically in the production of Omega-3. These (Pac-Man-like) enzymes are proteins that consume the outer layers of oil-bearing cells. Cellulac worked with Aer-Bio on a combination of the SoniqueFlo and Enzymes since early 2014. The result is a commercial scale low-carbon production solution for non-fish Omega-3 oils. In 2016, at a UK industry partner site, a conventional high-carbon solvent process was removed. This was replaced by a solvent-free wet extraction process. The conversion resulted in an 81% reduction of the downstream recovery cost of Omega-3 oils. This represented a total reduction cost of Omega 3 oil by 24% per tonne. The finished product has been granted approval as a human food grade product. The first sales of Omega-3 have been delivered to one of the largest food ingredient companies in the world. In 2017 we agreed a 4th transaction. Our bio-plastic products will replace single-use plastic for medical, dental and cosmetic products. Pharmafilter B.V. design, build and install self-contained energy recovery units in hospitals across Europe. They have agreed to purchase our bio-plastic for 5 hospitals each year, for the next 5 years. Hospitals use 600 tonnes of single-use plastic each year. Our bio-plastic reduces the carbon footprint of each hospital. Our bio-degradable plastic is recycled by Pharmafilter, directly to gas. This gas-energy is burned to heat the hospitals and sterilize their waste water. It is a perfect example of the circular economy. The success of the commercial scale production of Omega 3 in 2016-2017 has been a significant milestone. 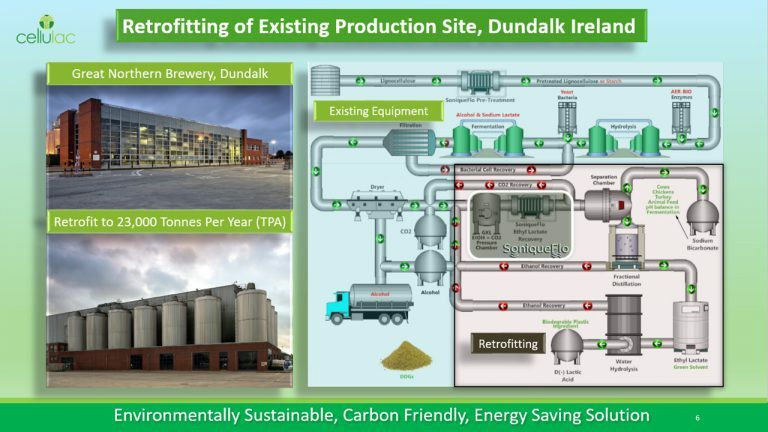 2018 will see the completion of the retrofit of the Cellulac production site in Ireland. After that we will ramp-up production to meet the offtake agreements for single use bio-plastics and Omega 3. First full year production will be 2019. Multiple MOU’s have been signed. Production and joint venture opportunities are open to Cellulac in Europe and the US. These are in the ethanol and dairy sectors. Licensing and royalty opportunities exist now we have demonstrated Omega-3 production at scale. This is the first, full scale game-changing, low-carbon production solution available for licensing.